Directed by Shawn Levy. 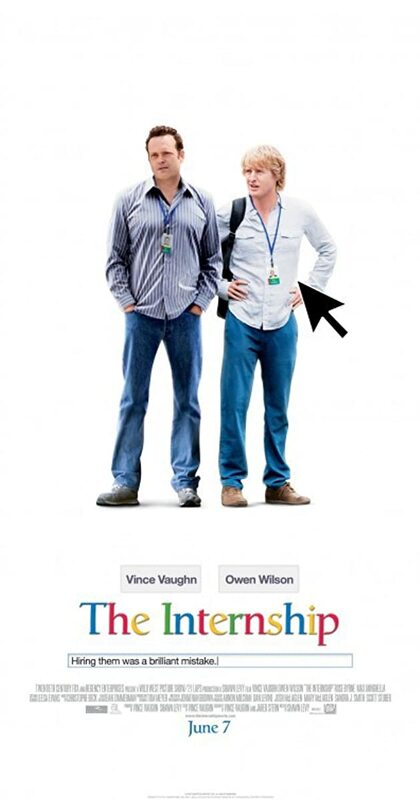 With Vince Vaughn, Owen Wilson, Rose Byrne, Aasif Mandvi. Two salesmen whose careers have been torpedoed by the digital age find their way into a coveted internship at Google, where they must compete with a group of young, tech-savvy geniuses for a shot at employment.